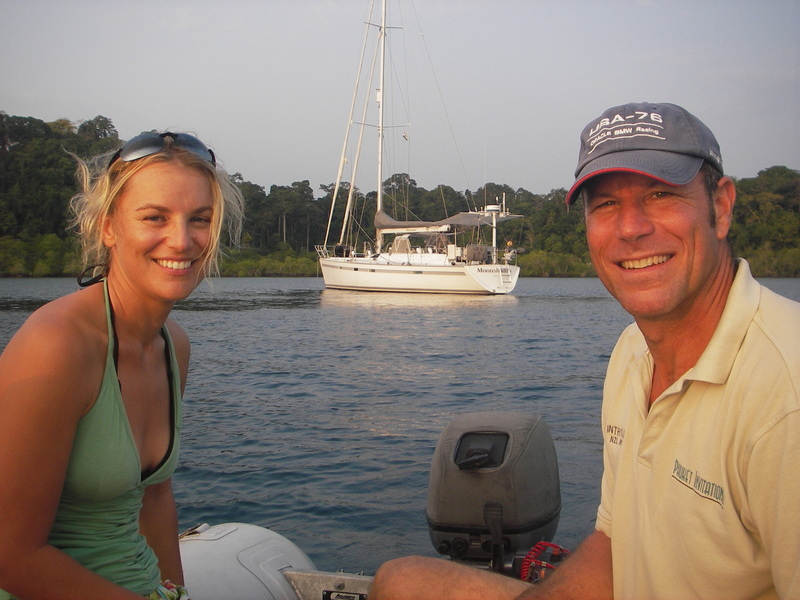 George and Merima Backhus have cruised the world aboard Moonshadow, a Deerfoot 62 cutter. George began his journey in Fort Lauderdale, Florida in 1994, sailing back to his home town of San Francisco via the Panama Canal after assuming stewardship of Moonshadow. After a “shakedown” passage to Hawaii and back in the 1996 Pacific Cup yacht race, he headed south to Mexico in the Baja Ha-Ha rally. Since then he as spent a year and a half on the west coast of Mexico and the Sea of Cortez, and five years cruising in the South Pacific and New Zealand. George took up permanent residency in New Zealand in 2000 and met Merima, a Kiwi, in Auckland in 2004 and she joined him aboard Moonshadow the following year in Australia. Afer sailing “over the top” of Australia from Queensland to Darwin they spent two years cruising and exploring Southeast Asia. From there they headed across the Indian Ocean and up the Red Sea, transiting the Suez Canal into the Mediterranean Sea. 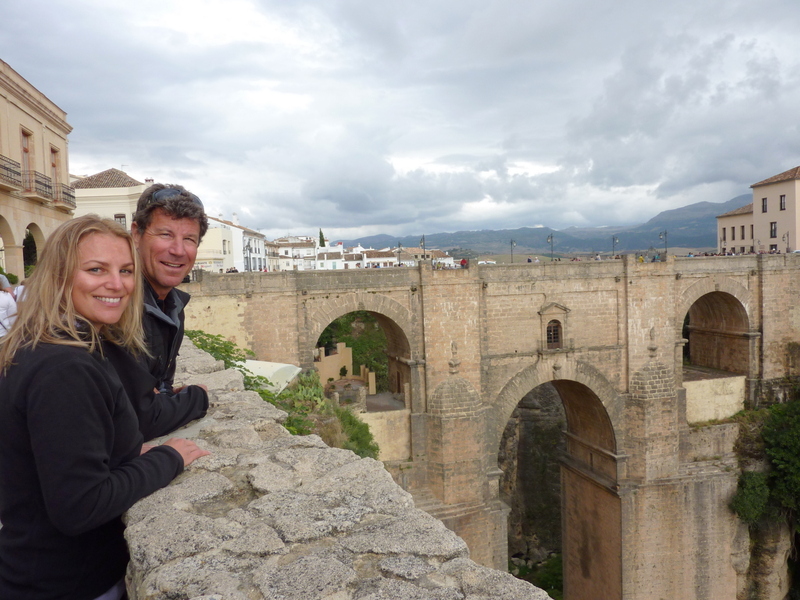 They’re now in their fourth summer cruising in the Med and are planning to participate in the 25th annual Atlantic Rally for Cruisers (Canary Islands to St. Lucia) in November 2010. Moonshadow has now visited more than 40 countries and George closed the loop on his circumnavigation in January of 2011 in Ft. Lauderdale Florida. 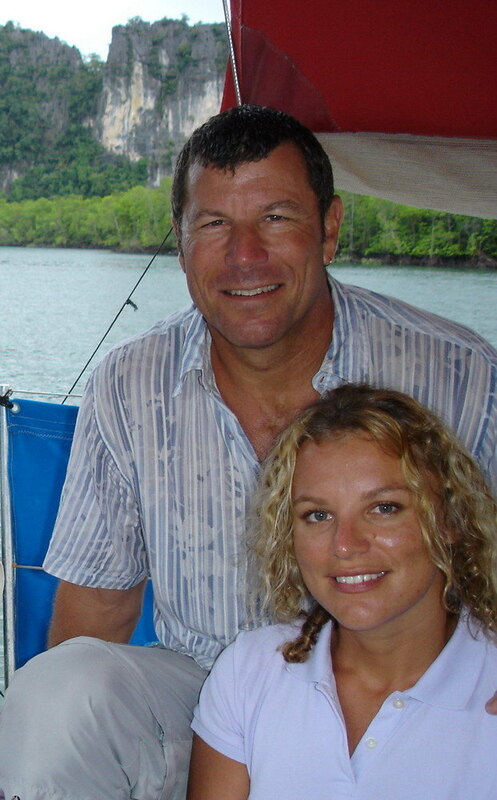 Merima joined George on Moonshadow in McKay, Australia in April of 2005 and has since sailed her for more than 24,000 miles, equivalent to a circumnavigation. A native of New Zealand, Merima began sailing on P-Class as a child as part of her school curriculum and spent holidays cruising on friends yachts over the years. Although she studied foreign languages in University and is fluent in Italian, French and Spanish and knows a bit of Croatian, her career is in television. She works during the New Zealand summers for TVNZ. 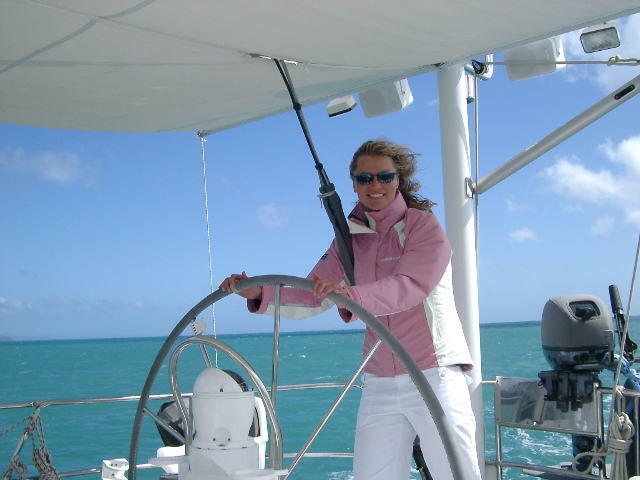 Over the years she has fully embraced the cruising lifestyle and attained the rank of Admiral aboard Moonshadow. Medical Officer-In charge of keeping the crew, healty and happy and maintaining the medical kit. Snacktician-In charge of all provisioning and meal planning, as well as being head chef. Vessel aesthetics-Makes sure that the crew keeps the vessel clean and tidy, and decor is up to muster. Official translator-Interfacing with all foreign officials. Bosun’s Mate-Looks after the maintenance of sails, awnings and crew apparel. George Backhus has been cruising and racing yachts for more than 35 years and has logged more than 80,000 ocean miles, most of it as skipper of Moonshadow, which he purchased in Ft. Lauderdale, Florida in July of 1994. He is a U.S. Coast Guard Licenced Master and has a Commercial Launchmaster ticket in New Zealand. 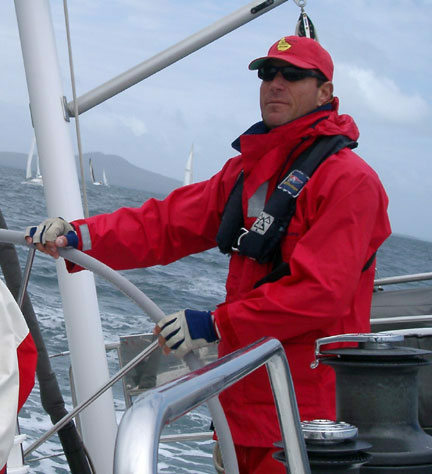 He is also a US Sailing Association Certified Instructor.